Most Important IPO of 2018! We’ve been consistently among the only financial newsletters to report on the most important events in the legalized cannabis market. We published the passage of Bill C-45 (the Cannabis Act), which opened the door to legal marijuana sales throughout Canada, but our relationships with top-management in the Canadian cannabis sector go back to 2013. We predicted a landslide victory for cannabis in the United States in 2018, and it soon came to pass as Michigan legalized adult recreational use of cannabis and Utah and Missouri approved cannabis for medical use. Now the total is up to 10 states and Washington, D.C. with legalized recreational marijuana, plus 33 states allowing medical marijuana. You definitely need to take a position before stock prices double, triple, or go even higher than that. Your best bet right now is a diversified position in multiple sectors of the legal marijuana industry, so as to capture the market’s expansion in multiple areas – what we call a vertical value supply chain. It’s next to impossible to find a company that has a footprint in many areas of the industry, as most companies are so focused on growing the plant that they’re ignoring some of the most highly in-demand facets of the North American cannabis industry: software, hardware, analytics, construction, capital support, intellectual property management… the list goes on. 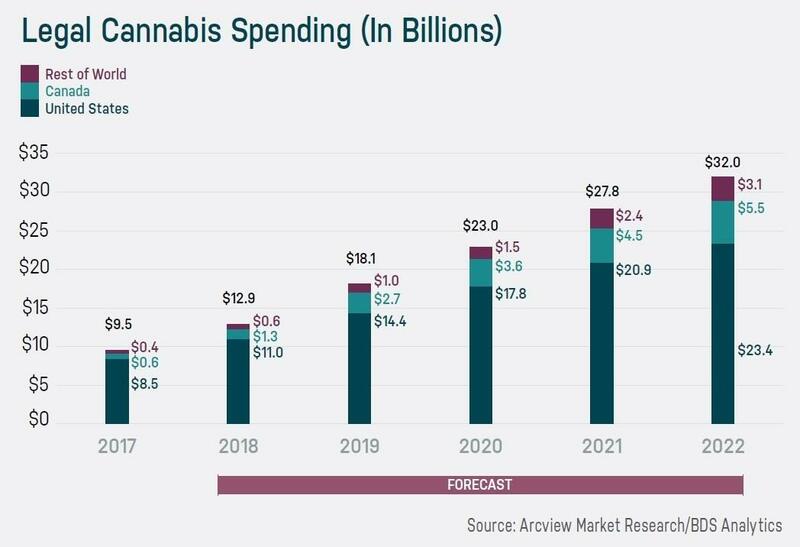 The idea of a vertically integrated company that diversifies into multiple areas of the lucrative cannabis ecosystem is exactly what investors need right now. This is precisely how Warren Buffett’s company has grown so consistently. Its holdings include banks, insurance, railroad, equipment, retail and about 30 other sectors. 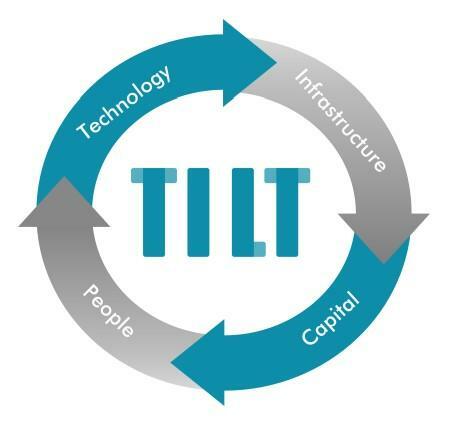 After 8 months of patiently following the story, TILT Holdings Inc. (CSE: TILT) has gone public! The business is a platform, delivering comprehensive solutions to the legalized cannabis industry. 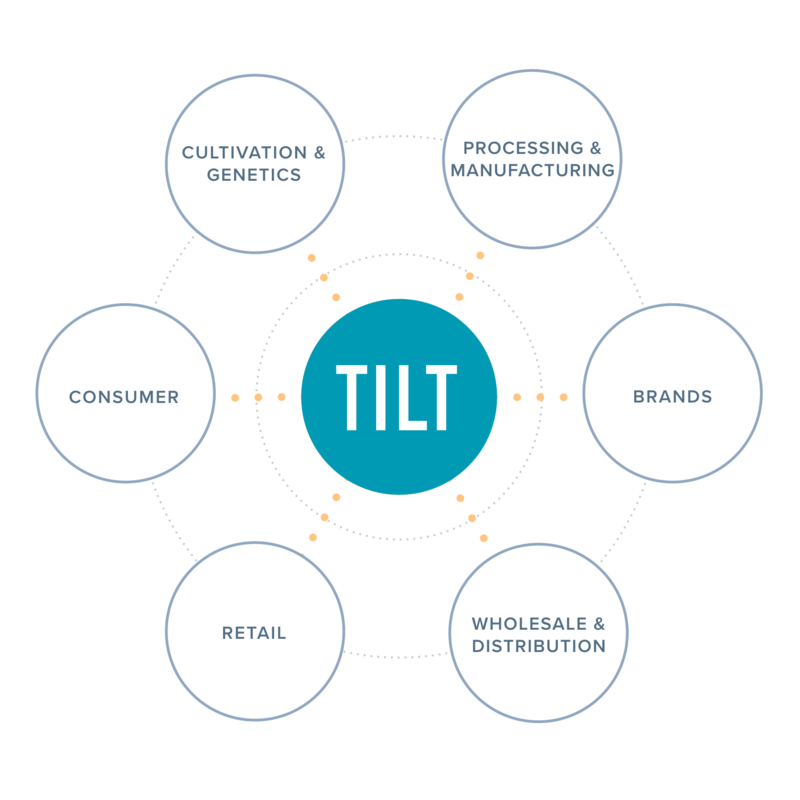 With operations across the U.S. and Canada, TILT is quickly building a technology-driven infrastructure solution from genetics through cultivation and retail that can be rapidly deployed into new and emerging cannabis markets across North America. This is what I call consummate diversification: from infrastructure and technology to retail and production, all areas are covered through this one company. Cultivation is covered as well, but with a difference, as Sante Veritas Holdings is one of the few licensed producers in Canada that has a developed facility and robust portfolio of wholesale contracts. There’s so much going for this company that I will continue to be in contact with them, on a daily basis, learning everything I can about the company. With access to millions of consumers through a presence in over 1,000 dispensaries across 25 U.S. states, Canada, Puerto Rico, and Jamaica, TILT’s proven track record of engaging consumers and optimizing dispensary operations and revenue is, quite frankly, unbeatable in this industry. For further updates on TILT Holdings, subscribe now! Wallace Hill Partners LTD, a Canadian company, which is owned by the same parties as Wealth Research Group LLC, has been compensated three hundred and twenty five thousand dollars, directly by the company for a one year digital marketing campaign. stock profiles are intended to be stock ideas, NOT recommendations. The ideas we present are high risk and you can lose your entire investment, we are not stock pickers, market timers, investment advisers, and you should not base any investment decision off our website, emails, videos, or anything we publish. Please do your own research before investing. It is crucial that you at least look at current SEC filings and read the latest press releases. Information contained in this profile was extracted from current documents filed with the SEC, the company web site and other publicly available sources deemed reliable. Never base any investment decision from information contained in our website or emails or any or our publications. Our report is not intended to be, nor should it be construed as an offer to buy or sell, or a solicitation of an offer to buy or sell securities, or as a recommendation to purchase anything. This publication may provide the addresses or contain hyperlinks to websites; we disclaim any responsibility for the content of any such other websites. Please use our site as a place to get ideas. Enjoy our videos and news analysis, but never make an investment decision off of anything we say. The information herein is not intended to be personal legal or investment advice and may not be appropriate or applicable for all readers. If personal advice is needed, the services of a qualified legal, investment or tax professional should be sought. Never base any decision off of our advertorials. Wealth Research Group stock profiles are intended to be stock ideas, NOT recommendations. The ideas we present are high risk and you can lose your entire investment, we are not stock pickers, market timers, investment advisers, and you should not base any investment decision off our website, emails, videos, or anything we publish. Please do your own research before investing. It is crucial that you at least look at current SEC filings and read the latest press releases. Information contained in this profile was extracted from current documents filed with the SEC, the company web site and other publicly available sources deemed reliable. Never base any investment decision from information contained in our website or emails or any or our publications. Our report is not intended to be, nor should it be construed as an offer to buy or sell, or a solicitation of an offer to buy or sell securities, or as a recommendation to purchase anything. This publication may provide the addresses or contain hyperlinks to websites; we disclaim any responsibility for the content of any such other websites. Please use our site as a place to get ideas. Enjoy our videos and news analysis, but never make an investment decision off of anything we say.